Washington, NJ: Vibrating plastic pellet classifiers from process equipment manufacturer The Witte Co., Washington, New Jersey (www.witte.com), feature an optional perforated fines deck that replaces the hard-to-clean wire mesh screens with a proprietary design that efficiently removes the fines and chips from the on-spec plastic pellets and reduces the potential for blockages to occur, along with their requisite line stoppages for cleaning. 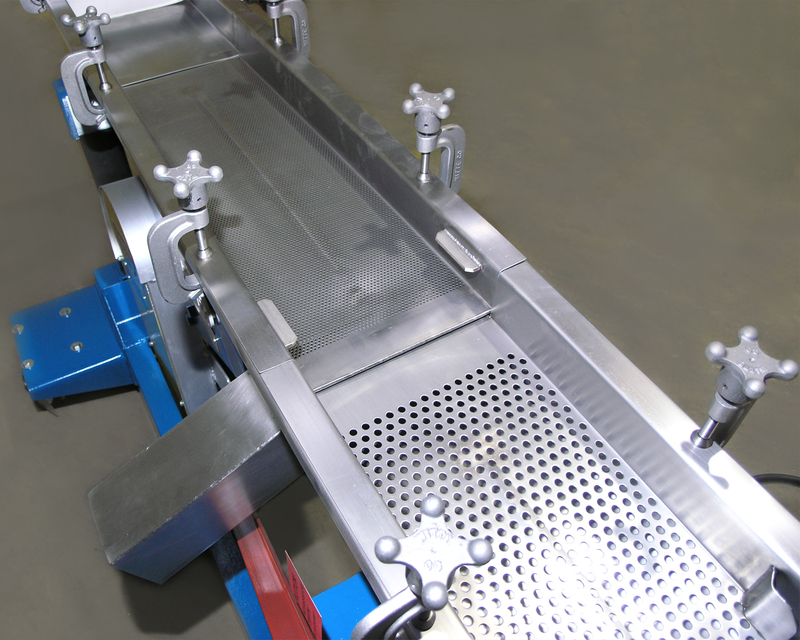 When periodic cleaning is to be performed, the Witte perforated fines deck may be removed in seconds and returned to position without any tools. The Witte perforated fines deck is manufactured from 304 stainless steel with a repeating pattern of smooth, round, precision, CNC-punched holes as small as 0.077″, comparable to a 10 mesh screen, that removes the objectionable fines from the plastic pellets. Available on the company’s entire line of plastic pellet classifiers, the perforated fines deck may be customized to accommodate virtually any pellet or particle size specifications and also may be retrofit on Witte units in the field.